With 3D technology being so accessible, and hobbyists producing so many amazing 3D printed objects in the comfort of their own homes, it just makes sense that curious shoppers could check out this new technology firsthand across the street at their neighborhood Best Buy. In a collaboration with Intel, Best Buy will be showcasing hot new technology in ‘mini-stores’ that will be inside Best Buy retail locations. Spurring imaginations, and propelling hobbyists and designers to engage in the latest technology, the new Best Buy ‘mini-stores’ featuring 3D printers will take the headlines 3D printing has been making to another level. The user-friendly desktops will become tangible, accessible, and visual — taking the wow factor one major step further toward increasing enthusiasm on a mass level. 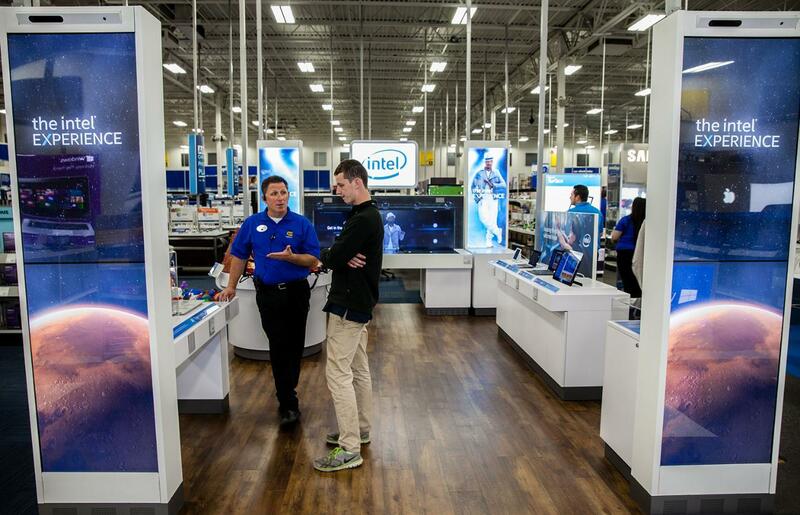 The famed Geek Squads and faithful shoppers of 50 Best Buy stores will soon be gawking at Intel Technology Experience zones, which average about 240 square feet, with one already open in Portland and the rest to open by the end of October. ‘Tis the season! Shoppers and tech enthusiasts will be able to design 3D robots on touch-enabled, Intel-powered laptops and then watch 3D printers going to work printing out the designs. Intel tablets will be provided for users to design and race a Mars Rover, and ‘maneuver it virtually through a physical Mars landscape.’ They will also be able to perform with the ‘DJ Remixing Ne-Yo Experience,’ as well as checking out all of Intel’s new devices and tablets. Best Buy stores already have similar displays set up with companies like Samsung and Sony, which are able to display super high-end new items, garnering consumer attention and turning shopping into a long field trip instead of a quick jaunt to buy a printer cartridge or phone charger. “It’s not just a holiday play,” Haydock said, as Best Buy stresses that the ‘mini stores’ will be changed with each season and maintained by dedicated Best Buy staff. This will obviously be great timing for opening the mini-stores and getting consumers jazzed up to spend — even if 3D printers themselves won’t be immediately available in the stores; however, they will be online at Best Buy within a few weeks of being displayed in the stores. This should be a good boost for the electronics retailer, which has been experiencing a financial slump. With declining revenues over past years, Best Buy has been shifting focus into different ideas and areas, such as the Geek Squad subsidiary, located in stores, and online sales, which this latest endeavor should complement. Just as 3D printing technology has opened a world of creativity and progress to designers, scientists, and hobbyists, presenting it to the mass consumer market will indeed shift the myopic focus from PCs and smartphones to the hottest new technology on the scene today: the 3D desktop printer. What will be under your Christmas tree this year?